Who's that girl? It's Jess! 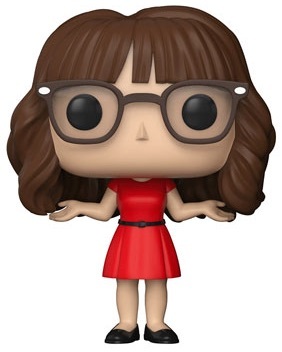 Funko Pop New Girl captures the essence of the quirky comedy with vinyl figures for many of the key characters, including Jess. Centered around the peppy Jess Day, played by Zooey Deschanel, New Girl is a sitcom for the modern age. Jess wears a red dress and thick-rimmed glasses to go with her big hair (and bangs). Her figure completes the look with black flats and outstretched arms. 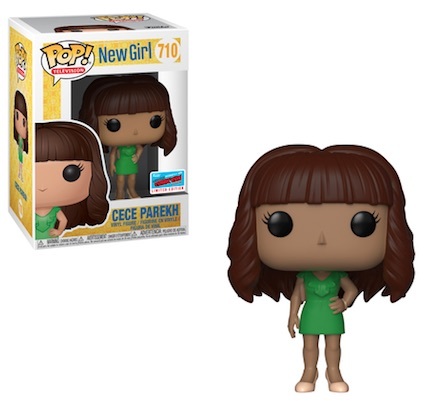 Shop New Girl Pop figures on Entertainment Earth. 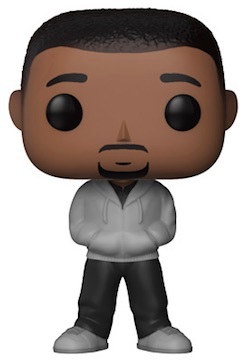 Jess' three roommates fill out the initial release for Funko Pop New Girl. There's the lovable loser Nick Miller with his arms folded, the former pro basketball player Winston Bishop, in a hoodie and jeans, and the love-him-until-you-hate-him Schmidt, who rocks a power suit. 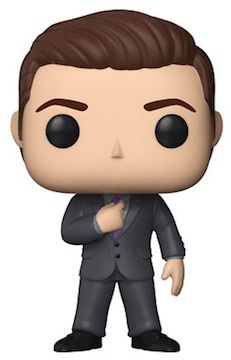 Just make sure you don't get Schmidt on your face. 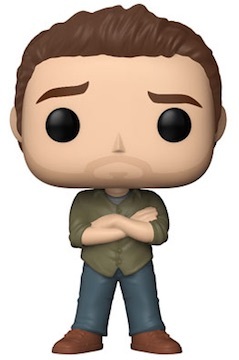 While the set covers the four key subjects in the series, it is surprising that Jess' best friend, Cece, did not make the first wave, especially since she has been in every episode since the show began. Her figure came later at 2018 New York Comic Con.